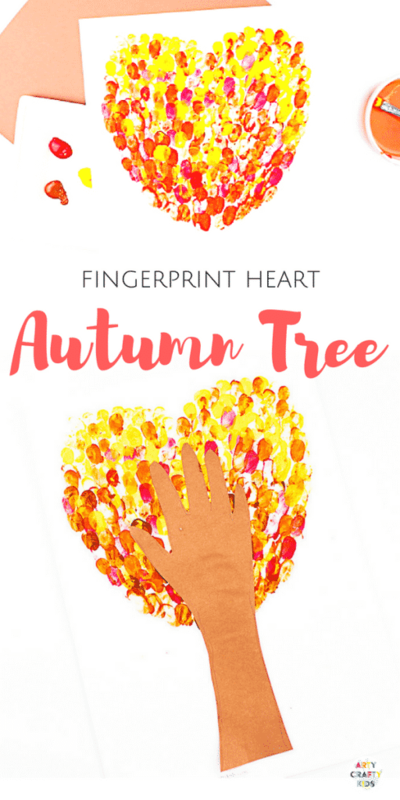 We love Autumn, we really do and have expressed it beautifully with our latest Autumn Tree Craft – The Fingerprint Heart Autumn Tree! 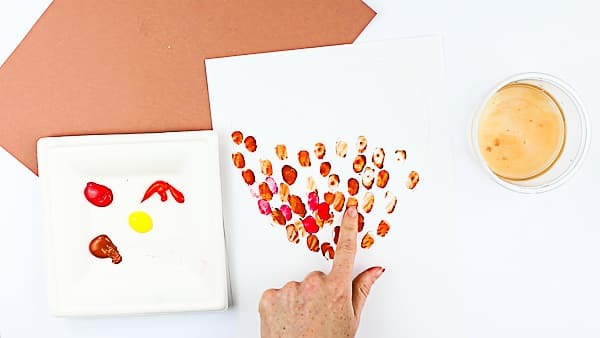 So if you love Autumn as much as we do, then this is the craft for you and your Arty Crafty Kids! 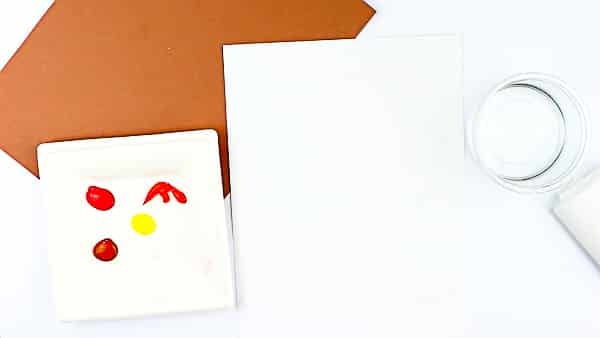 While simple in method, this project is perfect for colour-mixing and kids’ will love recreating the colours that come with the seasonal change in their art. 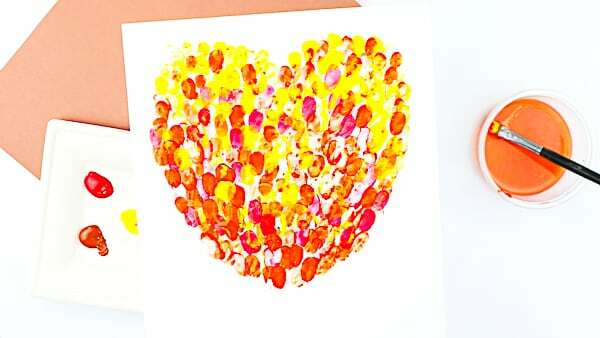 Our Free Tree Heart Printable. This could be found towards the end of this post. Step 1: Download and print the heart template – this can be found towards the end of this post. 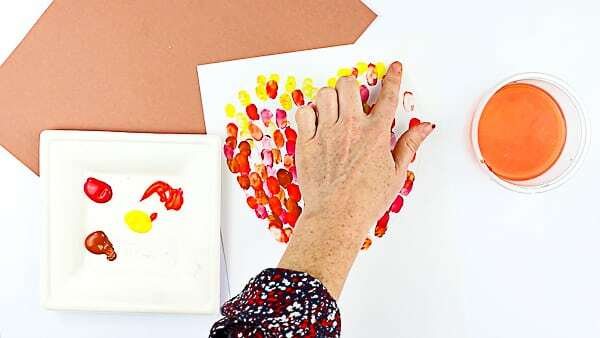 Prepare the paint, with either ready-made shades of oranges, red and yellow or offer your Arty Crafty Kids the primary colours with black and white for colour mixing. How much Red and Yellow do you need to make Orange? How do you make different tones of Orange (Yellow, Red, Green)? How do you make Brown? 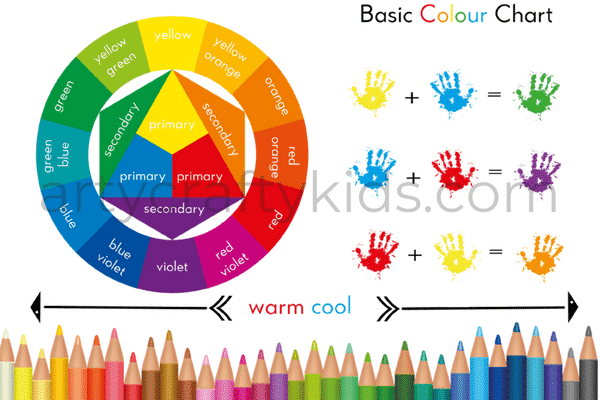 This simple process of trial and error is a fabulous learning exercise, with an emphasis on problem-solving skills and mathematical thinking (mixing and mentally measuring colours to achieve the desired tone). And of course, it’s wonderful for creativity! For best results, add a thin layer of paint to the fingerprint and print. Step 3: Using the darkest Autumn shades, work from the bottom of the heart up, layering the colours as your Arty Crafty Kids progress. Step 4. 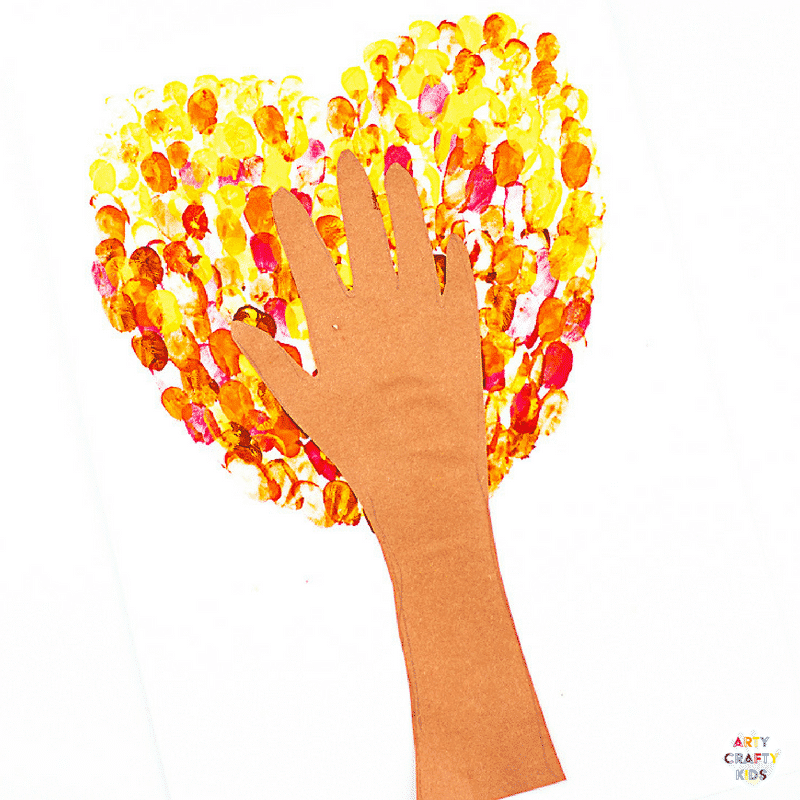 Continue working with the heart shape, progressing with lighter shades as your Arty Crafty Kids reach the top. The layering of colours will create some interesting and beautiful tones. Step 5: Leave the heart to thoroughly dry! 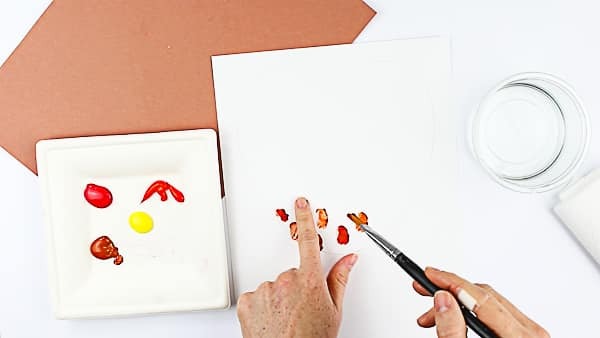 Step 6: Transforming the fingerprint hearts into an Autumn Tree! 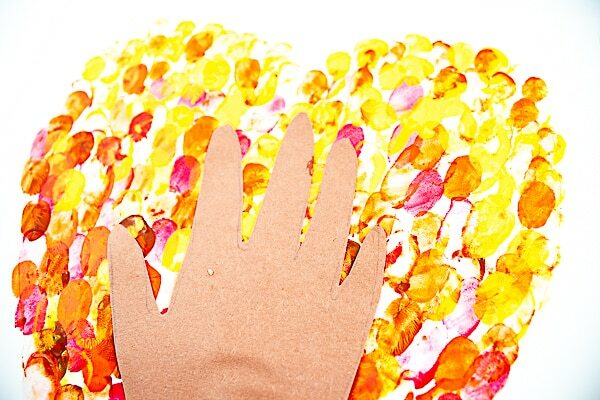 Using brown paper, trace around your child’s arm and hand. 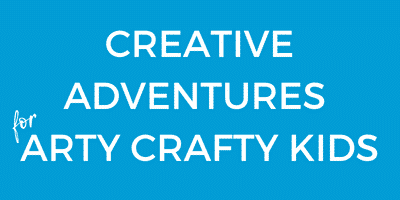 Depending on the age of your Arty Crafty Kid, they may want to do this for themselves. 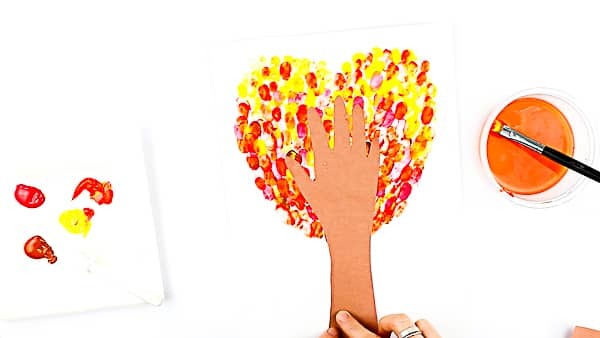 Cut out the arm/hand trunk and secure to the cardstock, positioning the hand within the fingerprint heart. Autumn Tree is now complete! 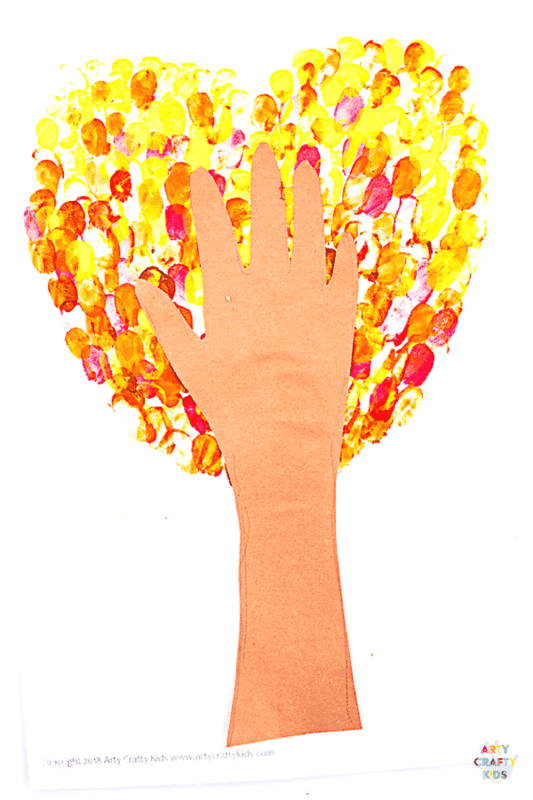 For more Arty Crafty Autumn inspiration, take a look at a few of our popular posts! 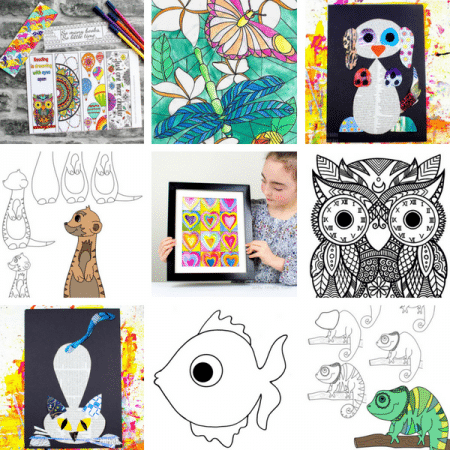 We bring the fun by making it easy to engage kids in arts and crafts with unique and fun ideas, easy to do projects, online printable templates and the Arty Crafty Box with all the materials delivered to your door!